It takes a little while to cut out the cards and the board and works best once laminated but your students will love this revision activity. 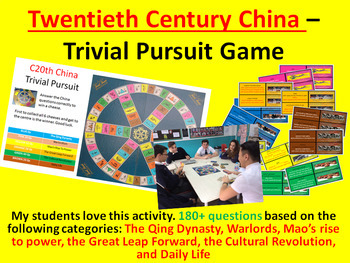 The questions are designed to boost subject knowledge and focus on precise historical detail which in turn helps student examination performance. I hope your classes enjoy this activity as much as my IGCSE and IB classes always do!